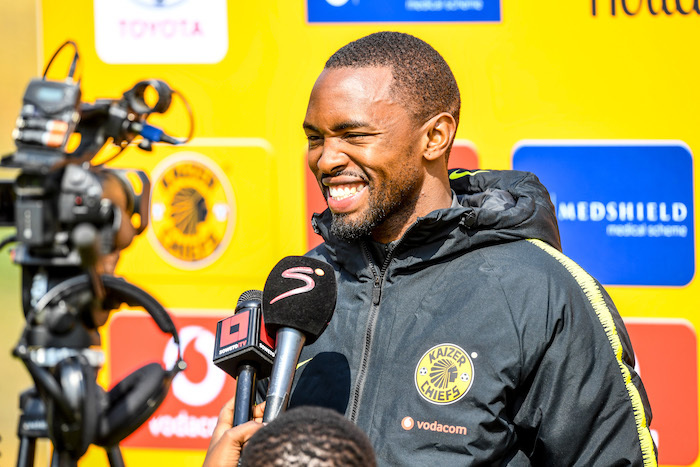 Kaizer Chiefs striker Bernard Parker has pleaded with the Amakhosi supporters to put an end to the booing of their own players. The Soweto giants booked their spot in the quarter-finals alongside the likes of Bidvest Wits, Mamelodi Sundowns and Orlando Pirates, but Parker wasn’t too pleased with sections of the Chiefs fanbase. ‘Please to the supporters here at our own stadium, we plead that you don’t boo any Kaizer Chiefs player on the field,’ he said in post-match comments. ‘Please be with us. Without you, we are nothing. We love you as much as you love us. ‘We knew they were going to come out guns blazing. We knew that this was going to be a game of their lives. We allowed them to come at us,’ he added. ‘We upped the gear and did not [want] to allow the team to dictate or give us a scare on our home ground. We managed to keep our shape and tactical discipline, especially defensively. ‘Going forward, as you can see today, it was not the usual front players that were representing the team today because of injuries. We wish those guys a speedy recovery. ‘But we looked dangerous whenever we played diagonal balls, we scored from a diagonal ball, you know. We will learn from this game. I’m happy we’re through to the next round and I’m happy everyone associated with the club is happy to be in the next round,’ he concluded.